BCCIC is looking for a qualified volunteer to play a key role in supporting BCCIC’s Climate Change Programme, with the intent of advancing public policies that promote more ambitious climate action and connecting with the members of the provincial council. The volunteer will assist with the Programme’s CSO engagement strategy, working on climate action advocacy and supporting the development of domestic climate policy briefings. The volunteer will work as part of the BCCIC Climate Change Programme team. Supporting the work of the Climate Change Programme in general. The BCCIC Domestic Climate Action Policy Assistant will report directly to the coordinators of the Climate Change Programme and the BCCIC staff member supervising the Programme. Volunteering with BCCIC is unpaid; no monetary compensation is provided. However, we understand and appreciate that those who volunteer with us are seeking to gain experience and contribute towards building a better world, and therefore, BCCIC staff work hard to ensure that the tenures of each of our volunteers is a positive and meaningful experience. Our volunteers set their own schedules and decide collaboratively with BCCIC staff to determine which tasks they take on. Upon positive completion of the volunteer internship, reflective references from direct supervisor. The Domestic Climate Action Policy Assistant will begin volunteering with BCCIC from January 5th onward. Volunteering with BCCIC is flexible, but to reduce volunteer turnover we hope for volunteers of this position to stay with us for a minimum of 4 months. Exceptions are made for projects with quick turnaround times. Please do include the time commitment you are able to make within the body of your statement of interest. Please note that we require volunteers to volunteer in-person during regular office hours at least half of the committed volunteering time. The location will be either BCCIC’s downtown office or UBC Point Grey Campus. During your orientation, BCCIC staff will work with you to set the number of hours you wish to commit to on a weekly or monthly basis. In the past, BCCIC volunteers have generally committed to 8-15 hours a week. Any questions regarding this position may be directed to jeffrey@bccic.ca. BCCIC is seeking a volunteer to assist with its international climate change policy projects. The volunteer will support the Programme’s efforts in advancing ambitious climate policies through various platforms, and facilitate outreach to the Programme’s partners involved in the United Nations Climate Change processes. The volunteer will work as part of the BCCIC Climate Change Programme team. The BCCIC Climate Change International Policy Advancement Assistant report directly to the coordinators of the Climate Change Programme and the BCCIC staff member supervising the Programme. The International Climate Action Policy Assistant will begin volunteering with BCCIC from January 5th onward. Volunteering with BCCIC is flexible, but to reduce volunteer turnover we hope for volunteers of this position to stay with us for a minimum of 4 months. Exceptions are made for projects with quick turnaround times. Please do include the time commitment you are able to make within the body of your statement of interest. Please note that we require volunteers to volunteer in-person during regular office hours at least half of the committed volunteering time. The location will be either BCCIC’s downtown office or UBC Point Grey Campus. During your orientation, BCCIC staff will work with you to set the number of hours you wish to commit to on a weekly or monthly basis. In the past, BCCIC volunteers have generally committed to 8-15 hours a week. BCCIC is looking for a qualified volunteer to play a key role in supporting BCCIC’s UN Climate Change Youth Delegation project. The volunteer will assist the delegation project coordinator in the administrative and logistical aspects of the project. The volunteer will work as part of the BCCIC Climate Change Programme team. The BCCIC UN Climate Change Youth Delegation Project Assistant report directly to the coordinators of the Youth Delegation project and the BCCIC staff member supervising the Programme. Accepting this position would forfeit your eligibility to apply to the upcoming UN Climate Change Youth Delegations. The UN Climate Change Youth Delegation Project Assistant will begin volunteering with BCCIC from February 5th onward. Volunteering with BCCIC is flexible, but to reduce volunteer turnover we hope for volunteers of this position to stay with us for a minimum of 4 months (when the May Youth Delegation project ends). Exceptions are made for projects with quick turnaround times. Please do include the time commitment you are able to make within the body of your statement of interest. Please note that we require volunteers to volunteer in-person during regular office hours at least half of the committed volunteering time. The location will be either BCCIC’s downtown office or UBC Point Grey Campus. During your orientation, BCCIC staff will work with you to set the number of hours you wish to commit to on a weekly or monthly basis. In the past, BCCIC volunteers have generally committed to 8-15 hours a week. Any questions regarding this position may be directed to colton@bccic.ca. BCCIC is looking for a qualified volunteer to play a key role in our BC 2030 policy engagement initiative: an effort to demonstrate British Columbia’s leadership role in achieving the Sustainable Development Goals (SDGs). The Local Governance Policy Assistant will support the work of the City and Climate Change working group of the Climate Change Programme. 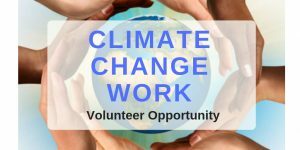 The volunteer will help the Working Group to continue the momentum built during the climate mitigation and adaptation policy research project and maintain the relationships between the Council and various researchers, government agencies, and local governments. The volunteer will also support the City Working Group with its BC2030 projects. The volunteer will work as part of the BCCIC Climate Change Programme team. The BCCIC Local Governance Policy Assistant report directly to the coordinators of the Climate Change Programme and the BCCIC staff member supervising the Programme. The Local Governance Policy Assistant will begin volunteering with BCCIC from January 5th onward. Volunteering with BCCIC is flexible, but to reduce volunteer turnover we hope for volunteers of this position to stay with us for a minimum of 4 months. Exceptions are made for projects with quick turnaround times. Please do include the time commitment you are able to make within the body of your statement of interest. Please note that we require volunteers to volunteer in-person during regular office hours at least half of the committed volunteering time. The location will be either BCCIC’s downtown office or UBC Point Grey Campus. During your orientation, BCCIC staff will work with you to set the number of hours you wish to commit to on a weekly or monthly basis. In the past, BCCIC volunteers have generally committed to 8-15 hours a week. BCCIC is looking for a qualified volunteer to play a key role in our BC 2030 policy engagement initiative: an effort to demonstrate British Columbia’s leadership role in achieving the Sustainable Development Goals (SDGs). The SDG Localisation Analytical Assistant will support the work of the City and Climate Change working group of the Climate Change Programme. The volunteer will help the Working Group to align international standards with the SDGs to develop localised sustainable development indicators for local governments in BC. The volunteer will also support the City Working Group with policy research projects. 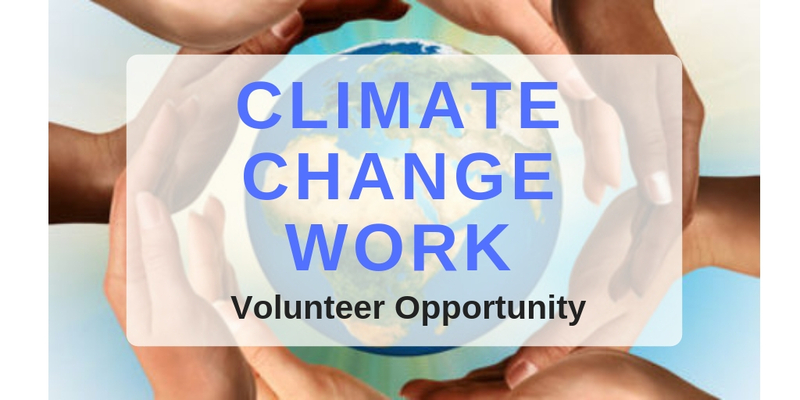 The volunteer will work as part of the BCCIC Climate Change Programme team. The BCCIC SDG Localisation Analytical Assistant report directly to the coordinators of the Climate Change Programme and the BCCIC staff member supervising the Programme. The working station is half-split between BCCIC office in Downtown and UBC Point Grey campus. The SDG Localisation Analytical Assistant will begin volunteering with BCCIC from January 5th onward. Volunteering with BCCIC is flexible, but to reduce volunteer turnover we hope for volunteers of this position to stay with us for a minimum of 4 months. Exceptions are made for projects with quick turnaround times. Please do include the time commitment you are able to make within the body of your statement of interest. Please note that we require volunteers to volunteer in-person during regular office hours at least half of the committed volunteering time. The location will be either BCCIC’s downtown office or UBC Point Grey Campus. During your orientation, BCCIC staff will work with you to set the number of hours you wish to commit to on a weekly or monthly basis. In the past, BCCIC volunteers have generally committed to 8-15 hours a week. All BCCIC volunteers will undergo an orientation session to better understand the organization and what it means to be a volunteer with us. Deadline to express interest is November 30, 2018 at 11:59 PM. Successful individuals will be contacted on December 7th to organize a brief interview at the BCCIC office or via video conference.